In 2014, the town of Warwick celebrated its 1100th anniversary with a year-long programme of events. 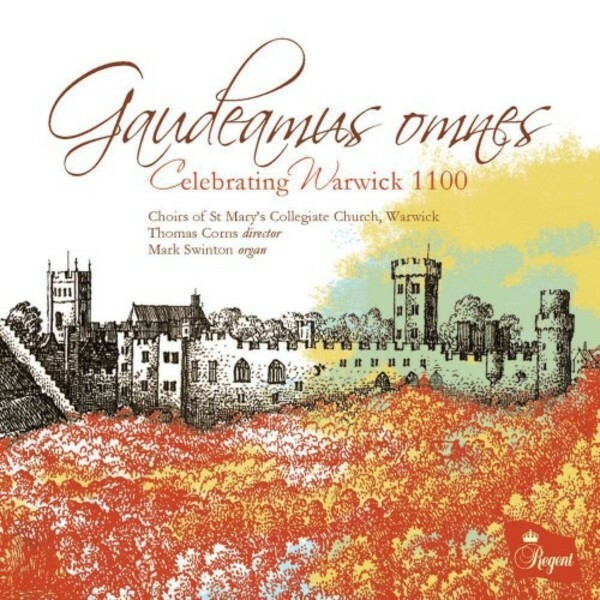 To mark this significant point in the life of the town, the choirs of the great church of St Mary in Warwick, known for its beautiful architecture and long tradition of musical excellence, recorded this disc of music for music for dedication: ‘Gaudeamus omnes – Let us all rejoice – Celebrating Warwick 1100’. In addition to works written for the dedication of a city, church and organ, the disc includes new works especially written for St Mary’s Church, its Director of Music, Thomas Corns, and its choirs of girls, boys and men, and these are receiving their first recording on this disc. Philip Moore’s Magnificat and Nunc dimittis in A is for upper voices and was written for the St Mary’s Girls’ Choir. David Briggs’ extended work ‘Gaudeamus omnes’, based on the plainchant of the same name, was written for the full complement of singers, and features a virtuoso organ accompaniment, played here by St Mary’s Assistant Director of Music, Mark Swinton.